BBQ Pits by Klose was created by David Klose in1986. With the principle goal of maintaining the integrity of the Old Western Trail Drive style of cooking. All BBQ pits are made by hand, with no machinery involved in the manufacturing process except a welding machine, in the spirit of the old style iron foundries. One welder to one BBQ pit, from the beginning to the end. Handmade, all the way. David has been featured on BBQ Pitmasters on TLC, Grills Gone Wild and EPIC on Destination America, as well as the Discovery Channel’s World’s Most Extreme TV segments, Food TV Specials and The History Channel’s Modern Marvels. 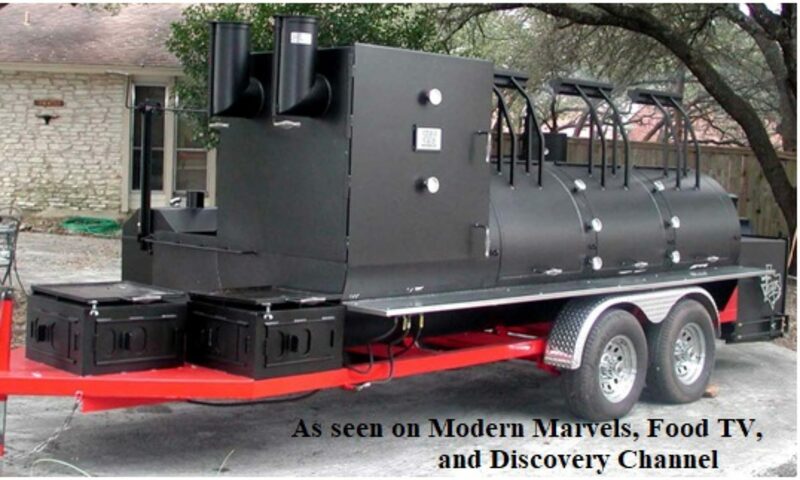 BBQ Pits by Klose has been featured in television commercials, and fine news papers & magazines nationwide, like Texas Monthly, The Dallas Morning News, Food & Wine Magazine, The American Culinary Review Magazine, The Austin Homes & Gardens food Magazine, and many more. Peoples Choice AWARD , Reserve Grand Champions of Ireland, & International Grand Champions of the Lisdoonvarna, Ireland Cook-off.